Perhaps not readily apparent on our blog or social media, Columbia Classical Fencing is an eclectic group of interesting and talented people. Long-time members, some of whom have been fencing together for decades, are very much our family away from home. Sometimes families face significant changes. 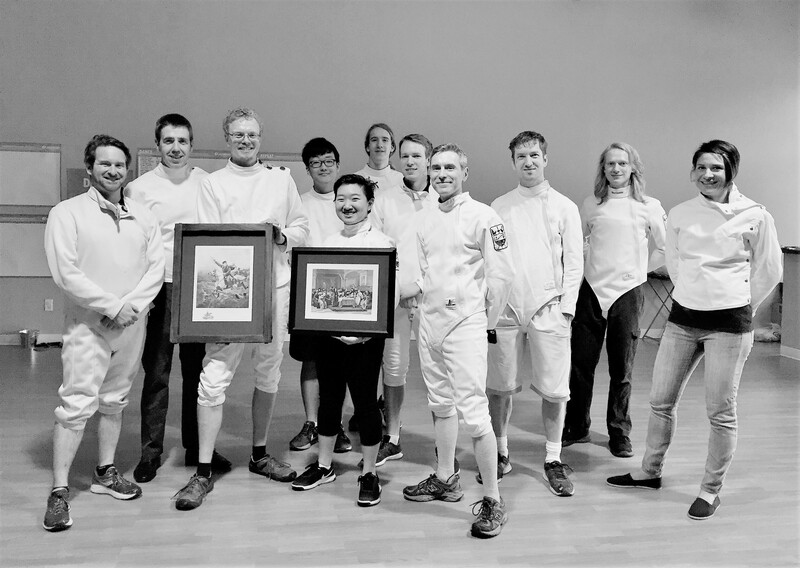 It has been a bitter-sweet month at Columbia Classical Fencing as we must say adieu to two long-time members who leave to start new and exciting chapters in their lives. Several CCF club members pose after presenting Abe and Kristine parting gifts, June 2, 2018. Left to right: Chris, Patrick, Abe, Branden, Kristine, Desmond, Eifel, Scott, Chad, Logan, Vanya. An undeniable and inexplicable fact of CCF is that we have attracted incredibly capable and impressive young women in the last decade. These women have landed technology internships with Fortune-500 companies, and are attending Ivy League, Seven Sisters, and research-1 schools. They have been awarded impressive academic fellowships and scholarships. Kristine Cho is one of them. Having been a CCF member since she was in middle school, Kris somehow managed to come to fencing practice in between piano recitals, violin practice, study-abroad programs, participating in political campaigns, homework for a plethora of advanced placement courses, serving on the mayor’s advisory council, and winning her student body presidential election at her high school. All the while, Kris’ wit and intelligence made her a joy to be around. Although we are going to miss Kristine, Columbia Classical Fencing is so proud of her. With her young but already impressive curriculum vitae, Kris is off to study at an Ivy League where she may major in political science, but not before flying across the country to serve one more internship. We cannot wait to see this rising star help make the world a better place. Her CCF family wishes her all the best in her future endeavors. Our second departure this month leaves us a little speechless. 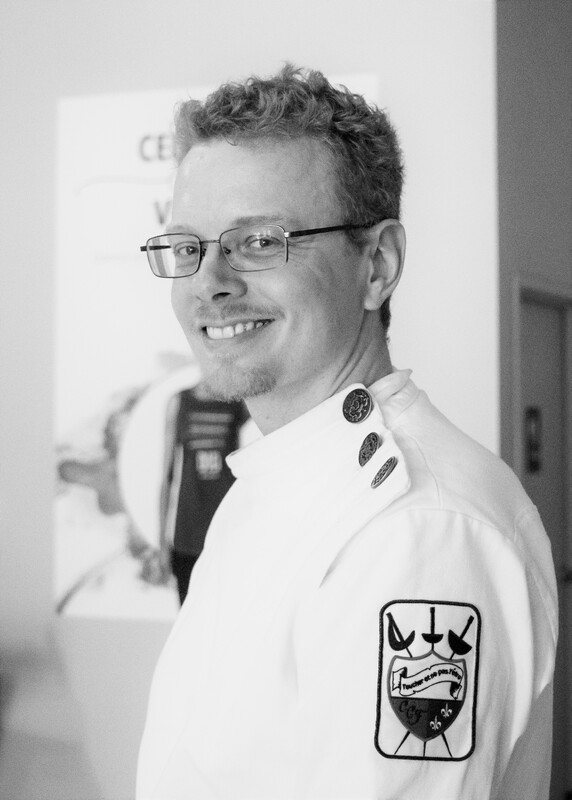 We are speechless because Abraham Ott has been a fixture at CCF even before it came to be the fencing club we now know. Starting fencing more than 15 years ago, Abe is one of our foundational members who began fencing with the professor (along with Head Instructor Patrick and Assistant Instructor Chris) before Patrick assumed operations of CCF. Over the years, Abe’s formidable fencing and analytical skills, his challenging measure, and his willingness to support fellow fencers at all skill levels, have made him a valued and indispensable member. Having married and become a parent in recent years has led Abe to move closer to family in another state. We can only hope that, after settling in, he will continue to share his fencing skills with his new community. Although we will not miss his incredibly lengthy lunges that come from nowhere, he will be heartily missed. We wish him and his family all the best as they start their next chapter together. Such an occasion warrants a bit of ceremony as we say adieu to these two. As we sent them off this past month, good friends shared snacks and stories as we recounted our years of experiences together; kind words rekindled fond memories. Thanks to Beth and Chris O’Keefe’s efforts, both Kristine and Abe were presented with framed historic lithographs as mementos of their years at CCF. On behalf of the entire club we say to each, bon voyage! Abe (left) fenced Patrick, 2018. Kris, Abe, and Scott, 2018. Several CCF club members, June 2, 2018. Left to right: Chris, Patrick, Abe, Branden, Kristine, Desmond, Eifel, Scott, Chad, Logan, Vanya. This entry was posted in Announcement and tagged 2018, Abe Ott, June, Kris Cho. Bookmark the permalink.